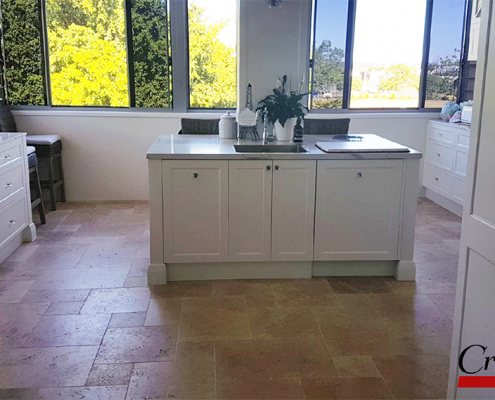 With clients having lived in the beautiful city of Nice, France, their dream kitchen was understandably inspired by the “French Provincial” style. 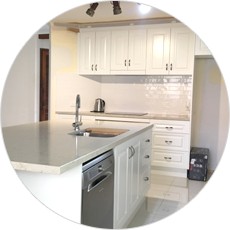 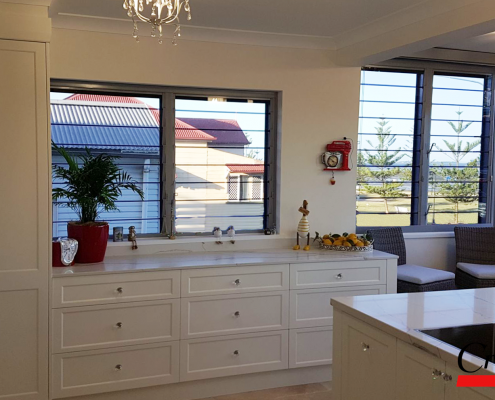 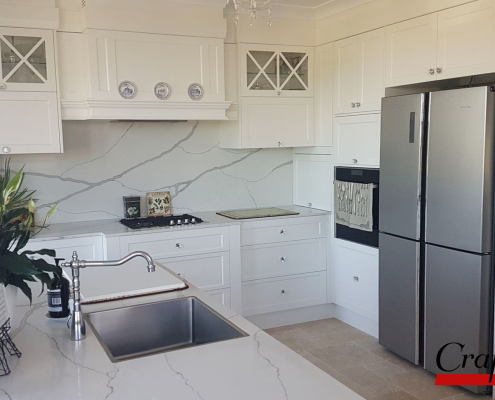 A simple shaker style door finished in a soft Satin white Two Pac was coupled with a “marble look” engineered quartz benchtop, which was also followed through onto the splashback area. 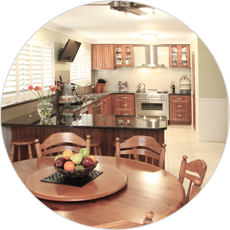 This provided not only a striking feature but one that was low maintenance and easy clean. 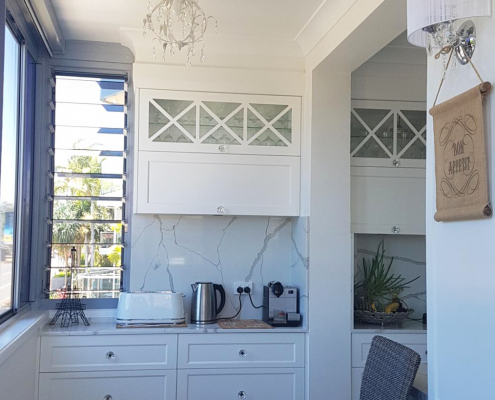 An ornate rangehood was custom designed and built, and provided the centre piece for the room, and was complimented with ornate glass overhead doors that provided soft relief. 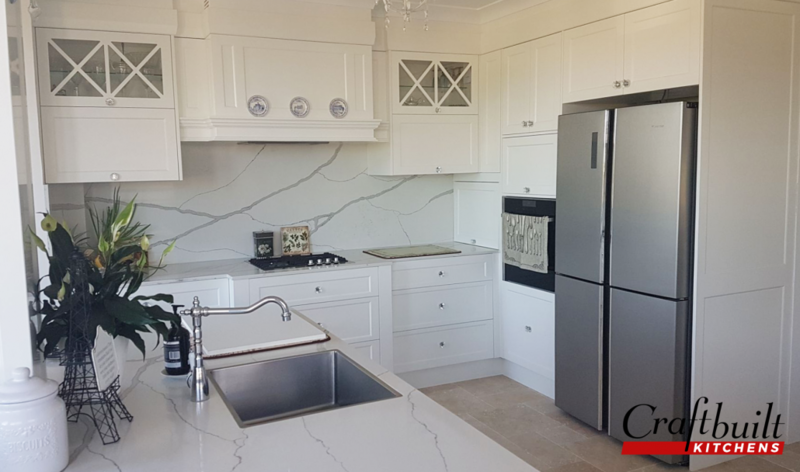 Feature columns on the end of the island bench and around the cooktop area provided additional features to work to the client’s desired style of the more ornate. 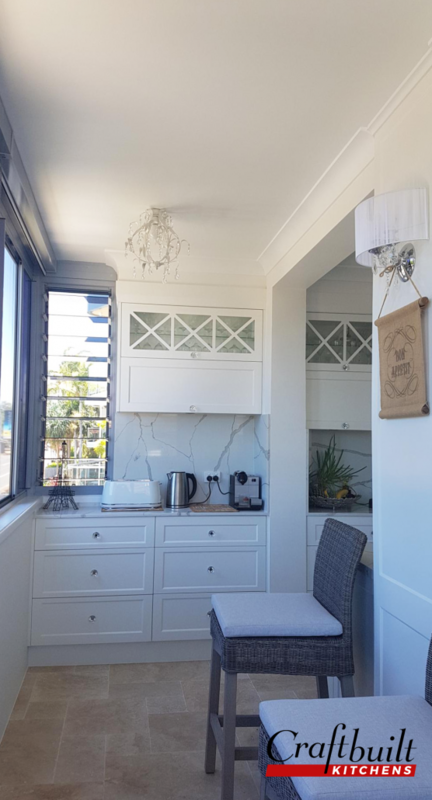 It was a challenging space as was within a unit with a large amount of windows on two walls, and a load bearing post was also smack bang in the middle of the room. 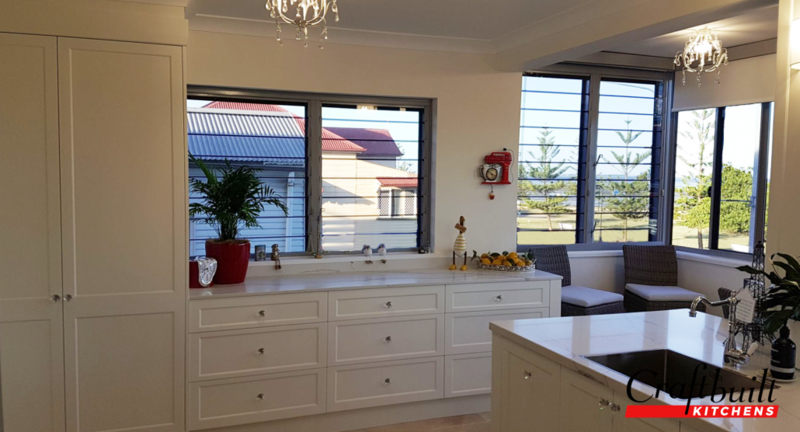 By anchoring the island bench against this post, and then panelling the entire post and finishing with ornate wall light sconces, we were able to design a kitchen with a large amount of storage and bench space but that kept the area feeling open plan and provided a flow through to the wonderful ocean views and reduced the presence of the necessary post. 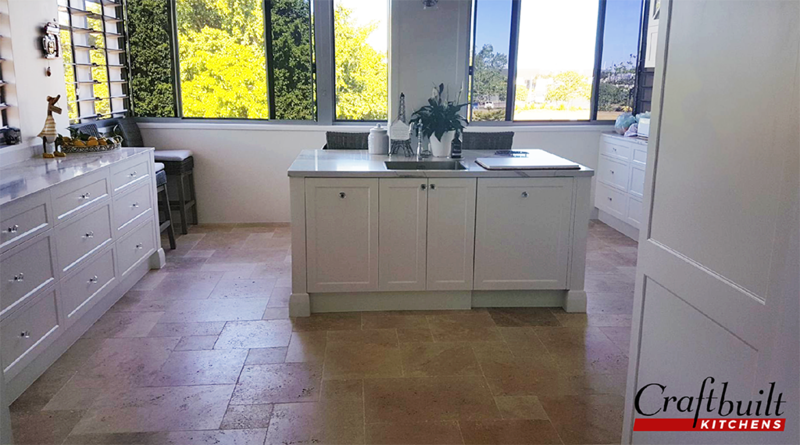 Clients were reduced to tears when they saw their stunning new kitchen and gave us heartfelt thanks for having turned their vision and dreams into a reality. 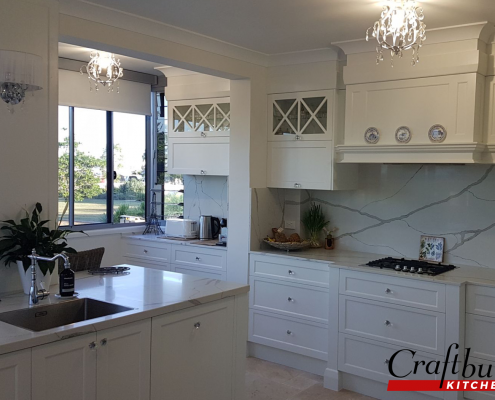 Craftbuilt Kitchens, designing with you, just for you! 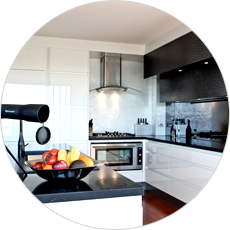 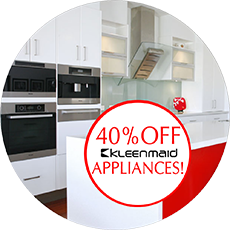 Are you ready to plan for your dream kitchen? 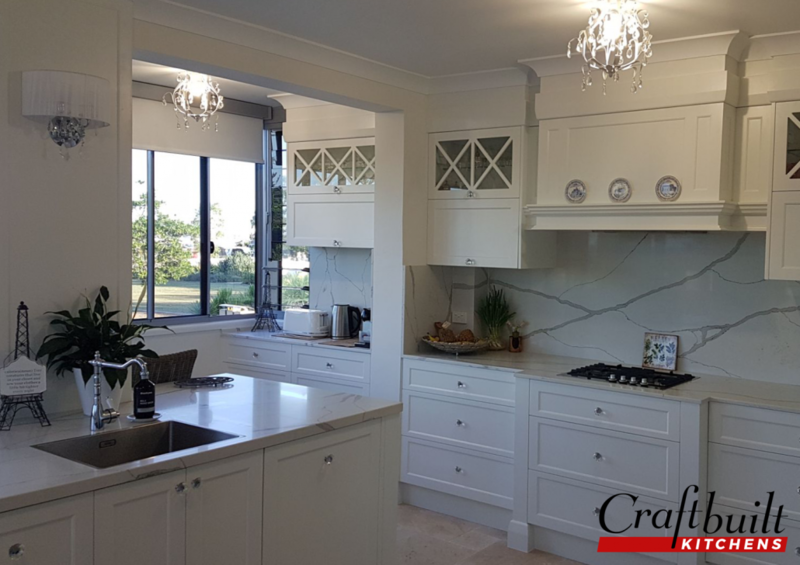 Contact our professional designers at Craftbuilt Kitchens today at (07) 3341 9166 today or visit our Stones Corner Modern Design Studio!